Head coach Frank Reich said at this week's owner's meetings that he pushed for the Colts to sign Funchess this offseason, Zak Keefer of the Indianapolis Star reports. "I'm so excited about Devin. I mean, when I watch his tape, what I see is a big man who is really athletic. I like to talk about having route-running skill -- this combination of having good feet, good instincts and good body control, and then what sometimes we refer to as body quickness ... it helps you separate at the top of routes, it helps you get off versus press coverage. And Devin has all of that," Reich explained. The Colts are expected to sign Funchess to a one-year contract, Tom Pelissero of NFL.com reports. Analysis: According to Chris Mortensen of ESPN, the deal is worth $13 million. 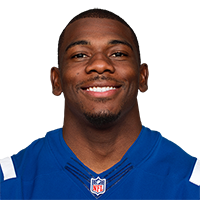 Indianapolis entered the offseason with the most available cap space, but such an amount seems like an overpay for a wide receiver that never tallied more than 900 yards in any of his four pro campaigns. Nonetheless, his new employer doesn't have much receiving talent beyond T.Y. Hilton (ankle) and Eric Ebron, so there should be plenty of volume left over for Funchess from Andrew Luck. Funchess acknowledged he is looking for a new team, Steve Reed of the Associated Press reports. Analysis: The writing was on the wall when Funchess served as a healthy scratch for the final game of the 2018 campaign. It appears neither player nor team has any interest in a reunion, with D.J. Moore and Curtis Samuel locked in as the top wide receivers in Carolina. The 24-year-old Funchess may want to consider a one-year contract if he's confident his 2017 breakout wasn't a fluke. The Panthers have not expressed a desire to bring Funchess back in 2019, David Newton of ESPN.com reports. Analysis: Head coach Ron Rivera indicated Carolina was "moving forward" when the team decided to sit Funchess for the regular-season finale last month. Now scheduled to become an unrestricted free agent in March, Funchess appears to have played his last snaps for the Panthers. The tall-but-slow wideout (Funchess owns a 4.70-second time in the 40-yard dash) wasn't the best fit in an offense that prioritizes yards after the catch anyway, so this development could be mutually beneficial. Funchess (coach's decision) is inactive for Sunday's game against the Saints, Jourdan Rodrigue of The Charlotte Observer reports. Analysis: Funchess's snap and target counts have been trending down for the last month, but it's still somewhat surprising that he's a health scratch for the season finale. It almost certainly spells an end to his stint in Carolina, as Funchess will become a free agent in March and is unlikely to be retained after youngsters D.J. Moore and Curtis Samuel passed him up on the depth chart at receiver this season. Funchess caught two of four targets for 23 yards during Sunday's 24-10 loss to the Falcons. Analysis: Funchess was an afterthought in the passing game, finishing sixth on the team in targets and fifth in receiving yardage. Oddly enough this was actually a step up for Funchess, who hadn't caught a pass since Week 13 and has just one grab over his last three games. Funchess's fantasy value has clearly waned as the season has gone along and he'll try to finish on a positive note next Sunday against the Saints. Funchess was held without a catch while being targeted once in Monday's 12-9 loss to the Saints. 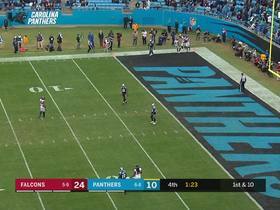 Analysis: Funchess's lone look was actually intercepted, as quarterback Cam Newton unsuccessfully attempted to give him a shot on a jump ball along the sideline of the end zone in the second quarter's waning moments. Besides that, Funchess played just 11 offensive snaps, continuing his spare use in recent weeks and furthering the sentiment that he likely isn't a part of Carolina's plans beyond this season. Funchess failed to catch any of his three targets in Sunday's 26-20 loss to the Browns. Funchess caught one of three targets for 10 yards and a touchdown in Sunday's 24-17 loss to the Buccaneers. Analysis: Funchess returned after missing Week 12 due to a back injury, but his snap count was limited to 32 of Carolina's 70 offensive snaps. To his credit, though, he made a big impact on his lone reception, scoring during the third quarter. With five straight outings of fewer than 50 yards, however, Funchess' upside has taken a hit over the second half of this season. Funchess (back) is active for Sunday's Week 13 tilt against the Buccaneers. Analysis: Funchess was trending toward playing after wrapping up the week with a full practice, and this report officially confirms his active status. However, an earlier Sunday morning report indicated that the team plans to bring Funchess back slowly, implying that he's expected to be on some sort of snap count against the Buccaneers. Consequently, the fantasy outlook for fellow wideout D.J. Moore remains strong, as does that of explosive secondary option Curtis Samuel to an extent. Funchess (back), who is listed as questionable for Sunday's game against the Buccaneers, is expected to play but will likely only take limited snaps, a source tells Ian Rapoport of NFL Network. Funchess (back) is listed as questionable for Sunday's game against Tampa Bay, Max Henson of the Panthers' official site reports. Funchess (back) took part in Friday's practice, Joe Person of The Athletic reports. Analysis: Funchess didn't practice Wednesday, but it appears he will get some work in Friday for a second straight day, which bodes well for his chances of returning to action this weekend in Tampa Bay. His official Week 13 status will be revealed after Friday's practice comes to a close. Funchess (back/non-injury) was a limited practice participant Thursday, David Newton of ESPN.com reports. Analysis: While Funchess has a pair of designations next to his name, he was away from the team Wednesday due to a personal matter. The back injury that forced an absence Week 12 is (for lack of a better term) taking a back seat, as he was seen leaping for a pass during Thursday's session, according to Newton. 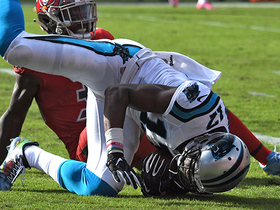 Friday's injury report will reveal Funchess' chances to return Sunday at Tampa Bay. Funchess (back) is suited up and on the field for the start of Thursday's practice, Max Henson of the Panthers' official site reports. Funchess (back) didn't take part in Wednesday's practice, Joe Person of The Athletic reports. Analysis: This merely confirms that Funchess didn't log any activity after he wasn't spotted on the field prior to the session beginning. With Funchess having not practiced since Week 10 and failing to demonstrate any meaningful progress in his recovery from the back issue, he'll likely need to fit in some activity Thursday or Friday to have a realistic shot at playing Sunday in Tampa Bay. Funchess (back) wasn't present for the portion of Wednesday's practice that was available to the media, Bill Voth of the Panthers' official site reports. Funchess (back) is inactive for Sunday's contest versus the Seahawks, Steve Reed of the Associated Press reports. Funchess (back), who is listed as doubtful for Sunday's game against the Seahawks, isn't expected to play, Adam Schefter of ESPN reports. Analysis: Funchess' status won't be confirmed until the Panthers release their inactive list 90 minutes prior to the 1 p.m. EST kickoff, but the wideout was never a good bet to suit up given the designation he carried into the weekend. Without Funchess, quarterback Cam Newton will lean on youngsters D.J. Moore and Curtis Samuel along with Torrey Smith (knee) -- who is listed as questionable but is expected to play -- as his primary reads at receiver. Funchess (back) is listed as doubtful for Sunday's game against the Seahawks, Jourdan Rodrigue of The Charlotte Observer reports. Analysis: Funchess was held out of practice throughout the week, following a drop-filled performance in Sunday's 20-19 loss to the Lions. Coach Ron Rivera said Friday there's still "a little glimmer" of hope Funchess can play, but it apparently isn't enough to warrant a 'questionable' designation. Rivera does expect Torrey Smith (knee) to rejoin the lineup, potentially giving D.J. Moore and Curtis Samuel some competition for playing time, though Moore is still the safest bet to pile up snaps and targets. Funchess (back) is expected to be a non-participant at Friday's practice, Bill Voth of the Panthers' official site reports. Analysis: Funchess has not practiced this week as he was added to the injury report Wednesday with the back issue. The official injury designation will come later Friday, but at this point the 24-year-old's availability for Sunday's game against the Seahawks is in severe doubt. Funchess (back) wasn't spotted at Thursday's practice, Jourdan Rodrigue of The Charlotte Observer reports. Analysis: Funchess will be listed as a non-participant on the Panthers' practice report for the second time in as many days, clouding his availability for Sunday's game against the Seahawks. Coach Ron Rivera labeled the wideout as day-to-day when he met with the media Wednesday, so it at least appears Funchess's back issue isn't viewed as a significant concern. Even so, Funchess will likely need to practice fully Friday to avoid an injury designation heading into the weekend. Funchess was held out of Wednesday's practice due to a back injury, Jourdan Rodrigue of The Charlotte Observer reports. Analysis: Coming off a drop-plagued performance in Sunday's 20-19 loss to Detroit, the fourth-year wideout starts the week with a missed practice. Per Rodrigue, coach Ron Rivera said Funchess is day-to-day, suggesting the 24-year-old could be back on the practice field Thursday and/or Friday. An absence for the Week 12 game against Seattle might allow the Panthers to put Torrey Smith (knee) back in the lineup without taking reps away from D.J. Moore or Curtis Samuel. Funchess wasn't present for the open portion of Wednesday's practice, Bryan Strickland of the Panthers' official site reports. Funchess appeared to drop five passes in Sunday's 20-19 loss to the Lions, David Newton of ESPN.com reports. Funchess brought in three of five targets for 32 yards in the Panthers' 52-21 loss to the Steelers on Thursday. Funchess caught four of five targets for 44 yards in Week 9's win over the Buccaneers. Analysis: Funchess trailed teammates Christian McCaffrey and Greg Olsen in all major receiving categories, rounding out Carolina's top three threats through the air. While this season has seen Cam Newton become a much more efficient passer, Funchess is averaging just over 55 yards per game to go with three touchdowns, making him a decent fantasy commodity but slightly underwhelming for someone who's the No. 1 wideout on his team. 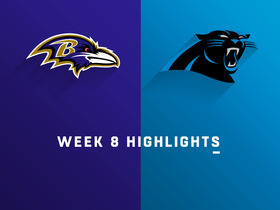 Funchess caught all three of his targets for 27 yards in Sunday's 36-21 defeat of the Ravens. Analysis: Funchess saw his fewest targets of the season, leading to a season-low yardage output while rookie D.J. Moore stole the show. 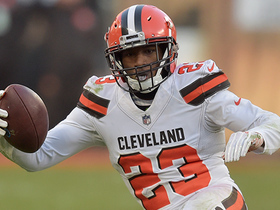 Nevertheless, the 24-year-old had been a consistent contributor entering the game with at least four grabs and 53 yards in each of his last five contests. He'll look to rebound in an enticing Week 9 matchup against Tampa Bay. Funchess caught six of 11 targets for 62 yards and a touchdown during Sunday's 21-17 win over the Eagles. Funchess caught five of eight targets, racking up 74 yards and a touchdown as Carolina lost 23-17 to Washington on Sunday. Funchess caught four of seven targets for 53 yards during Sunday's 33-31 win over the Giants. Analysis: Funchess led the team in targets, catches and receiving yardage, but he failed to make a large impact outside of a 21-yard gain in the third quarter. He'd reached or exceeded 67 receiving yards in each of his previous two games, so this effort will come as a bit of a disappointment for fantasy owners who foresaw a breakout effort coming. Funchess continues to serve as the team's top target on the outside and will look to do more with his usage next Sunday against the Redskins. Funchess caught four of seven targets for 67 yards and a touchdown in Sunday's 31-21 win over the Bengals. Analysis: Funchess came alive on Carolina's third drive, pulling in catches of 16 and 27 yards before finishing it off with a four-yard touchdown reception. He added a 20-yard grab in the fourth quarter. No other Panther had more than 24 receiving yards in this one, so Funchess was easily quarterback Cam Newton's favorite target. The 24-year-old receiver heads into the Week 4 bye with 185 yards and a touchdown on the season. Funchess brought in seven of nine targets for 77 yards in the Panthers' 31-24 loss to the Falcons on Sunday. Analysis: In the absence of Greg Olsen (foot), Funchess was the second-most targeted pass catcher behind Christian McCaffrey. The 24-year-old saw a considerable boost in workload over that of Week 1, as he only logged five looks in the win over the Cowboys. With Olsen projected for a multi-week absence, Funchess should continue to be one of the linchpins of the Carolina passing attack. He'll look to build on Sunday's performance in a Week 3 battle against the Bengals. Funchess caught three of five targets for 41 yards during Sunday's 16-8 win over the Cowboys. Funchess caught both of his targets for 35 receiving yards in Friday's 25-14 win over the Patriots in the third preseason game. Analysis: Funchess showed good rapport with quarterback Cam Newton, catching a 28-yard pass from the Pro Bowler and seeing another 22-yard reception negated by a penalty up front. The wideout appears ready to lead Carolina's receiving corps this season and will likely sit out the team's exhibition finale. Funchess caught his only target for 13 yards in Friday's 27-20 win over the Dolphins in the second preseason game. Analysis: Funchess' workload has understandably been limited through Carolina's first couple exhibition outings. Entering this season as the team's top wideout, however, it wouldn't be surprising if he's more involved in this Friday's dress rehearsal against the Patriots. As a beneficiary of Kelvin Benjamin's departure last year, Funchess finished with a career-best 63 receptions on 113 targets for 840 yards and eight touchdowns. Funchess (cramps) returned to practice Friday, Jourdan Rodrigue of The Charlotte Observer reports. Analysis: Funchess exited Thursday's session with cramps, which isn't new for the receiver, who's experienced them several times throughout his career. Upon his return to the field, Funchess will presumably slot right back in with the first-team offense alongside Torrey Smith and rookie D.J. Moore. Funchess exited Thursday's practice early due to cramps, Joe Person of The Charlotte Observer reports. Analysis: Funchess isn't new to cramps, as he's dealt with them several times throughout his career. The issue isn't thought to be serious and he should be back on the field in the coming days. Jarius Wright will figure to get a few extra reps with the first-team while Funchess is held out. Funchess is anticipated to maintain his No. 1, or 'X', receiver role in the Panthers offense despite last week's first-round selection of D.J. Moore, Joseph Person of The Charlotte Observer reports. Funchess (shoulder) caught four of eight targets for 79 yards in Sunday's 31-26 NFC wild-card loss to the Saints. Funchess (shoulder) is listed as active for Sunday's NFC wild-card game against the Saints. Analysis: The wideout, who caught two passes on six targets for 48 yards and a TD in Week 17's loss to the Falcons, has logged modest yardage totals over the Panthers' last three games as the team's top receiver. That said, the 6-foot-4, 225-pounder has at least maintained a degree of fantasy utility in TD-heavy formats by scoring five times over his last seven contests. Funchess (shoulder) is listed as questionable for Sunday's playoff game against the Saints after logging a limited practice Friday. Analysis: We'll verify the wideout's status as Sunday's 4:40 ET kickoff approaches, but he's fully expected to be in uniform. Funchess, who logged two catches on six targets for 48 yards and a TD in Week 17's loss to the Falcons, has racked up modest yardage totals of late as the Panthers' top wideout, but he's maintained a degree of fantasy utility by scoring five TDs over his last seven outings. Funchess (shoulder) took part in Friday's practice, Joe Person of The Charlotte Observer reports. Analysis: Funchess did not practice either of the previous two days, but he was able to get back on the field Friday. It won't be clear until after practice how much work he was able to get in, but his participation alone bodes well for his chances of playing in Sunday's wild-card matchup with the Saints. Funchess (shoulder) did not practice Thursday, Joe Person of The Charlotte Observer reports. 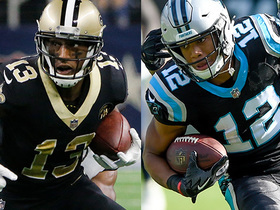 Analysis: More on the wideout's status for wild-card weekend come Friday, though we suspect that Funchess is likely to be a go Sunday against the Saints, with his practice participation leading up to the contest being managed to that end. Funchess was on the field for 87 percent of the Panthers' snaps on offense in Week 17 -- tops among the team's wide receivers -- en route to hauling in two of his six targets for 48 yards and a TD. Funchess didn't practice Wednesday due to a shoulder injury, David Newton of ESPN.com reports. Funchess brought in two of six targets for 48 yards and a touchdown in Sunday's 22-10 loss to the Falcons. Funchess (shoulder) isn't listed on the final injury report for Sunday's game in Atlanta. Funchess (shoulder) practiced in full Thursday, Jourdan Rodrigue of The Charlotte Observer reports. Funchess (shoulder) was listed as limited on Wednesday's injury report, Bryan Strickland of the Panthers' official site reports. 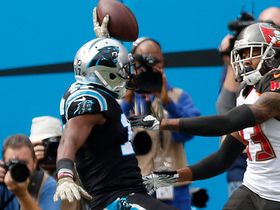 Funchess caught three of four targets for 11 yards in Sunday's 22-19 win over the Buccaneers. Analysis: Funchess played through his shoulder injury once again, but for the second straight week was held under 20 yards. After an excellent five-game stretch, Funchess' recent slump couldn't have come at a worse time for fantasy owners. Although Funchess went for 86 yards on five catches versus the Falcons in Week 9, his poor form of late leaves cause for concern ahead of next Sunday's encounter. Funchess (shoulder) is listed as active Sunday against the Buccaneers. Analysis: Funchess was contained to one limited showing in practice this week but nonetheless will play through a shoulder injury for a third straight game. In the previous two, he totaled four receptions (on 11 targets) for 78 yards while playing 78 percent (109 of 139) of the Panthers' offensive snaps. He'll aim for a bounce-back performance Sunday versus a Tampa Bay defense that has allowed the most receiving yards (190 per game) and third-most touchdowns (16) to wideouts this season. Funchess (shoulder) officially is listed as questionable for Sunday's game against Tampa Bay, but head coach Ron Rivera said he isn't concerned about the wideout's availability, David Newton of ESPN.com reports. Analysis: After being held out of practice the previous two days, Funchess returned to the field Friday as a limited participant. He played through the same injury in Weeks 14 and 15, albeit with his production taking a dip. Funchess should be fine to handle his usual workload against a Tampa defense that's surrendered league-worst marks of 204 catches and 2,662 receiving yards to wide receivers. Funchess (shoulder) suited up for Friday's practice, Joe Person of The Charlotte Observer reports. Analysis: Funchess sat out the Panthers' first two practices sessions of the week due to his shoulder injury, but he still expects to play this week, and his participation Friday boosts his chances of doing so. The Panthers will provide an official update on Funchess's status when they release their final injury report of the week. Funchess (shoulder) expects to play Sunday against the Buccaneers, Joe Person of The Charlotte Observer reports. Funchess (shoulder) didn't take part in practice Thursday, Joe Person of The Charlotte Observer reports. Funchess (shoulder) didn't practice Wednesday, Jourdan Rodrigue of The Charlotte Observer reports. Funchess caught one of four targets for 19 yards in Sunday's 31-24 win over the Packers. Analysis: Funchess was hardly heard from, with his lone reception coming on the first play of the second half. He was also forced into a brief exit after a hit to his bum shoulder prevented him from hauling in a would-be touchdown during the first half. The only game in which Funchess finished with fewer receiving yards this season came Week 8 against the Buccaneers, adding another layer to his rebound attempt as Tampa Bay visits Carolina this Sunday. Funchess (shoulder) is listed as active Sunday against the Packers. Analysis: As expected, Funchess will be out there versus a Green Bay defense without starting cornerback Davon House (shoulder). With an average of one TD per week over the last four games, Funchess is a good bet to produce against a unit that's allowed 167.5 receiving yards per game and nine touchdowns to wideouts across the last six outings. Funchess, listed as questionable with a shoulder injury after practicing fully Friday, is expected to play Sunday against Green Bay, Adam Schefter of ESPN reports. Analysis: Funchess has thrived since Kelvin Benjamin got traded to Buffalo and has four touchdowns over the last four games. While you want him out there in most circumstances given his hot play, Sunday's game is especially juicy in that he'll face a leaky Packers secondary. Panthers head coach Ron Rivera said Funchess (shoulder) will play in Sunday's game against the Packers, Joe Person of The Charlotte Observer reports. Funchess (shoulder) was a full participant at Thursday's practice, Jourdan Rodrigue of The Charlotte Observer reports. Funchess (shoulder) was limited in practice Wednesday, Jourdan Rodrigue of The Charlotte Observer reports. Analysis: Funchess missed one practice last week due to a shoulder injury, but it didn't impact his workload Sunday against the Vikings. Among his seven targets, he corralled three for 59 yards and tallied an 18-yard touchdown, marking his fourth score in the last four games. Expect his status for Sunday's matchup with the Packers to clear up by week's end. Funchess caught three of seven targets for 59 yards and a touchdown in Sunday's 31-24 win over the Vikings. Funchess (shoulder) is active for Sunday's game against the Vikings. Analysis: Curiously, Funchess followed up uncapped sessions Wednesday and Thursday with no drills to wrap up the week, leaving a cloud over his Week 14 status. No matter, he'll be available versus a Minnesota defense that has conceded 161 yards receiving per game and three touchdowns to wideouts over the last four contests. Funchess (shoulder) was held out of Friday's practice and is officially listed as questionable, but he's nonetheless expected to play in Sunday's game against the Vikings, David Newton of ESPN.com reports. Analysis: The Panthers apparently held Funchess out Friday as a precaution after allowing him to log full practices the previous two days. He's been a bit nicked up with toe and shoulder injuries within the past couple weeks and will now have to face a tough Minnesota defense anchored by cornerback Xavier Rhodes and safety Harrison Smith. The Vikings have held opposing wideouts to 7.4 yards per target and eight touchdowns through 12 games this season. Funchess (shoulder) was a full practice participant Wednesday, Jourdan Rodrigue of The Charlotte Observer reports. Analysis: Funchess was on the injury report with a toe issue last week, but ultimately caught four of seven targets for 60 yards and a touchdown in Sunday's 31-21 loss to the Saints. He hurt his shoulder trying to recover an onside kick late in the game, but the injury apparently isn't serious enough to threaten his availability for the Week 14 game against Minnesota. As Carolina's clear No. 1 target, Funchess could draw shadow coverage from Vikings cornerback Xavier Rhodes in the matchup. Funchess acknowledged that he injured his shoulder toward the end of Sunday's 31-21 loss to the Saints, but he believes he will be OK, Joe Person of The Charlotte Observer reports. Funchess (toe) doesn't have a designation on the final injury report for Sunday's game in New Orleans. Analysis: Following full practices Thursday and Friday, there's little question that Funchess' absence from Wednesday's practice was precautionary. He's locked in as Cam Newton's favorite target for a matchup in a dome against a Saint defense that may be missing top cornerback Marshon Lattimore (ankle-questionable). Funchess (toe) practiced in full Thursday, Jourdan Rodrigue of The Charlotte Observer reports. Analysis: Both Funchess and Christian McCaffrey were in pads from the start of the session and seemed to participate in every drill in the part open to the media, according to Joe Person of The Charlotte Observer. Upon the release of Thursday's report, though, only Funchess was active from beginning to end. Since the Panthers dealt Kelvin Benjamin (knee) to the Bills, Funchess has prospered as the No. 1 wideout, hauling in 19 of 31 passes for 297 yards and two touchdowns across four games. Funchess (toe) was spotted on the field with shoulder pads prior to the start of Thursday's practice, David Newton of ESPN.com reports. Analysis: It looks as though Funchess will practice in at least a limited capacity Thursday after the toe injury he suffered in Sunday's win over the Jets rendered him a non-participant in the Panthers' first session of the week. The Panthers will issue a formal update on the extent of Funchess' participation once the session concludes, but the third-year wideout currently appears to be trending toward suiting up for the team's Week 13 clash with the Saints. Funchess (toe) didn't take part in Wednesday's practice, Max Henson of the Panthers' official site reports. Analysis: After failing to log any reps in the open part of practice, Funchess remained off the field for the Panthers' closed session. The Panthers will likely be extra cautious with Funchess, who broke the same toe that's currently ailing him in college. If the team takes such a stance, Funchess's listing on the final Week 13 injury report will be telling for his potential to suit up Sunday at New Orleans. Funchess (toe) wasn't taking part in the portion of Wednesday's practice that was made available to the media, Joe Person of The Charlotte Observer reports. Funchess acknowledged that he played through a minor injury in the same toe he broke in college during Sunday's 35-27 win over the Jets, Jourdan Rodrigue of The Charlotte Observer reports. Panthers coach Ron Rivera said Funchess may have stubbed his toe during Sunday's 35-27 win over the Jets, Jourdan Rodrigue of The Charlotte Observer reports. Analysis: Funchess apparently got a bit nicked up at the end of the game, though he still finished with seven catches for 108 yards on 12 targets and logged 83 percent of the offensive snaps. While this doesn't sound like anything serious, he could still end up on the injury report ahead of a Week 13 game in New Orleans. The Panthers can ill afford to lose Funchess from an already-thin receiving corps. Funchess caught seven of 12 targets for 108 yards in Sunday's 35-27 win over the Jets. Analysis: The targets and yards were both season highs for Funchess. The third-year receiver, in addition to becoming "the man" after the trading away of Kelvin Benjamin, has also become more explosive. Funchess was averaging 10.8 yards per catch prior to Benjamin's departure, but has averaged 16.8 yards per game in the three games since. He's caught a pass of at least 30 yards in three straight games after no such games with Benjamin in the lineup. Funchess caught five of six targets for 92 yards and two touchdowns in Monday night's 45-21 win over the Dolphins. Analysis: Funchess has been stellar in two games since the Panthers traded Kelvin Benjamin, catching 10 of 13 targets for 178 yards and two scores. 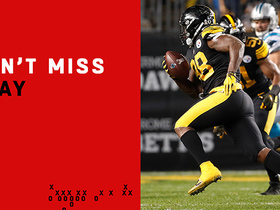 Of course, both his touchdowns came Monday, with his first coming off a 28-yard screen and his second off a 32-yard back-shoulder catch and run. Although the third-year pro will now embark on Carolina's bye week, Funchess' fantasy stock heads into Week 11 at its highest this season. Funchess caught five of seven targets for 86 yards in Sunday's 20-17 win over the Falcons. Analysis: Funchess led Carolina in all major receiving categories, with his yardage total marking a new season high. Considering Funchess is now the team's No. 1 wideout following Kelvin Benjamin's departure, his performance Sunday should certainly serve as a source of encouragement. Now rising the fantasy ranks as well, Funchess will hope for another strong performance next Monday against the Dolphins. Funchess is set to take over as Carolina's No. 1 receiver after Kelvin Benjamin was traded to the Bills on Tuesday, John Wawrow of the Associated Press reports. 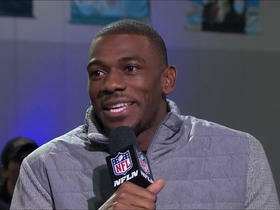 Carolina Panthers wide receiver Devin Funchess joins "Super Bowl Live" to talk about the Panthers and the Super Bowl. Atlanta Falcons cornerback Isaiah Oliver catches Carolina Panthers quarterback Taylor Heinicke's throw for an end zone interception. 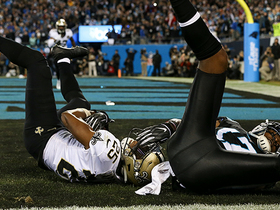 New Orleans Saints cornerback Eli Apple intercepts a pass from Carolina Panthers quarterback Cam Newton. Cleveland Browns defensive back Damarious Randall intercepts a pass from Carolina Panther quarterback Cam Newton. Carolina Panthers wide receiver Devin Funchess muscles through defenders for a 10-yard touchdown reception. 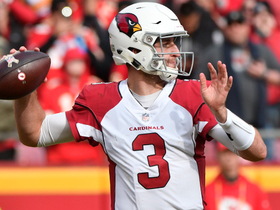 NFL Network's Matt "Money" Smith gives his daily fantasy values for various players in Week 11. Pittsburgh Steelers linebacker Vince Williams takes in Carolina Panthers quarterback Cam Newton's wild throw for a pick-six. Carolina Panthers quarterback Cam Newton finds wide receiver Devin Funchess for a 23-yard gain.